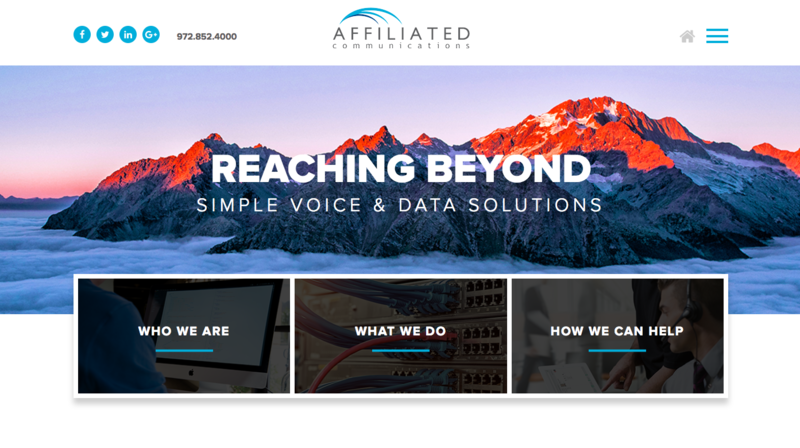 Affiliated Communications was founded in 1984 to provide service and support for customers’ voice communication needs. Since then, Affiliated has grown into a premiere communications distributor with offices in Dallas/Fort Worth, Austin and Houston. Affiliated’s products are focused on helping customers shorten time-to-market and achieving a competitive advantage. They bring together experienced professionals, partners, programmers and technicians to assist their customers so they can improve their business performance. 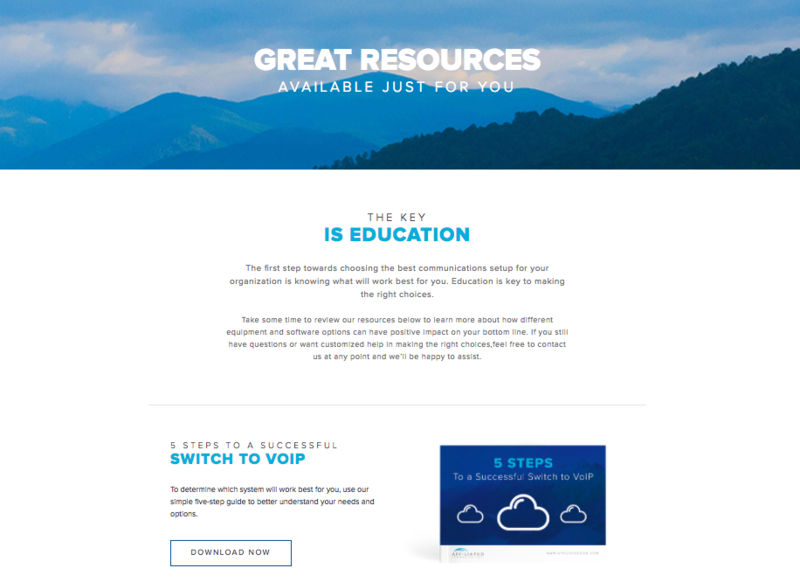 The Affiliated Communications team felt their website was not only looking dated, but was not effectively leveraging inbound strategies for lead creation. 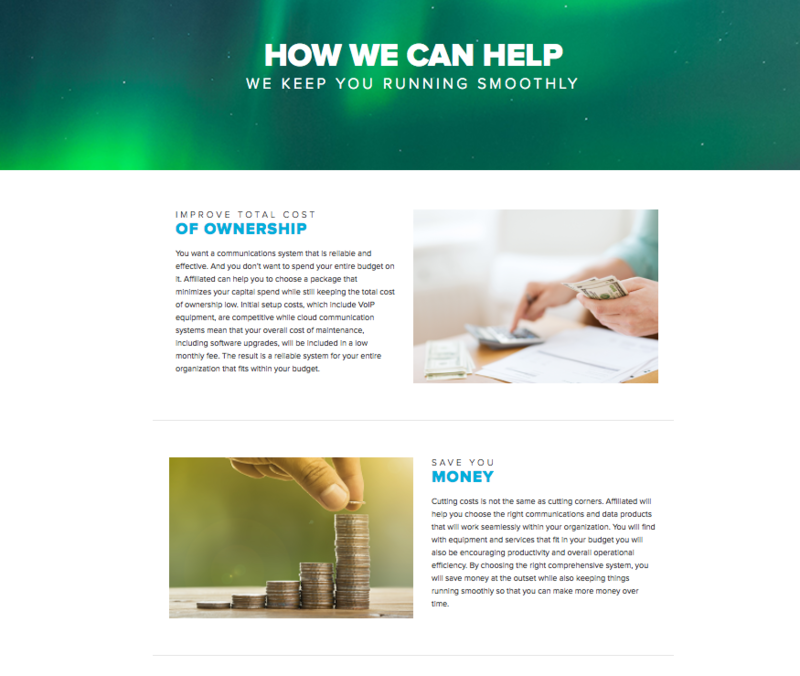 They came to us asking us to help them fix this problem by creating a more modern and robust website that was not only beautiful, but also leveraged new opportunities to increase sales by marketing to their buyer personas. A modern feeling/functioning website with abstract imagery that leaves the viewers with a sense of calmness and trust. 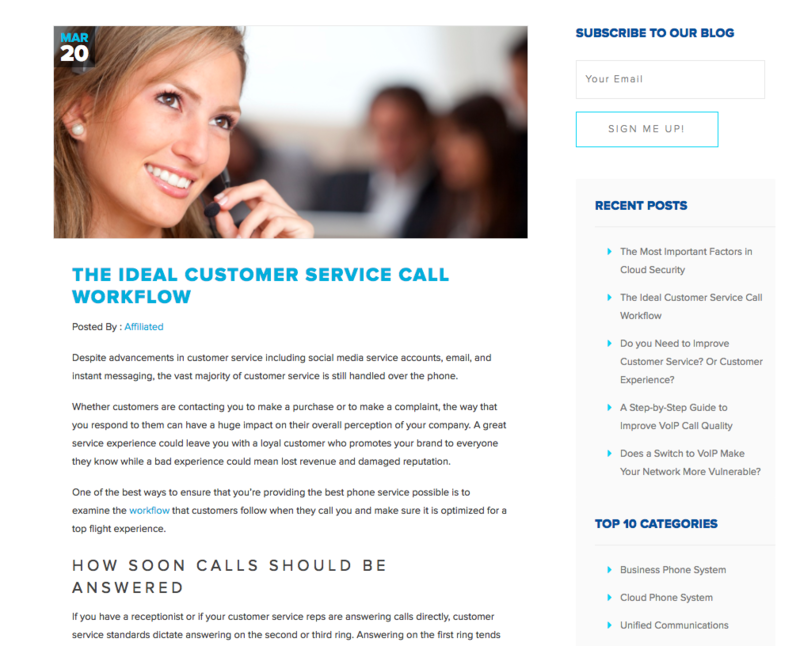 A seemless contact database to have their sales rep utilize the CRM as much as possible. Site traffic increased by almost 793% since launch. Email campaigns were developed and launched in a way the company had not done before. When asked how they feel about the new website, the team at Affiliated had this to say, "We love the look and feel of our new website with bold natural abstract imagery that works well with our brand identity and how it differentiates us from other partners."